Sign up and receive Property Email Alerts of Flats for sale in Royal Ascot, Milnerton. Located in the exclusive Royal Ascot Estate, this sunny, bright and secure double-storey 2 bedroom 2 bathroom Maisonette is uniquely positioned and is very well-appointed. A well designed kitchen and lounge layout provides ample space to entertain guests. The kitchen is equipped with a built-in oven and stove, plumbed for a washing machine provides ample counter and seating space. The dining room and family room are just off the kitchen leading to the private backyard. From the family room one can access the backyard boasting a romantic seating area that is private and serene- one of the very few in the complex. The bedrooms located upstairs are spacious in size with built-in cupboards, ensuring storage is a non-issue. The tiled main bathroom consists of a bath, basin and toilet combo. The master bedroom is the ultimate retreat with views over the Royal Ascot surrounds, complete with an en-suite consisting of a shower toilet and basin combo. 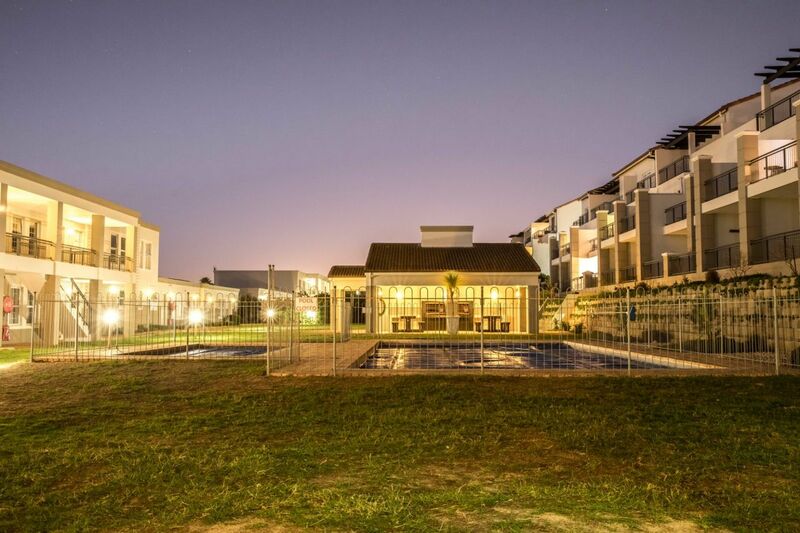 Two separate braai / entertaining areas with an adjacent pool which is ideal for entertaining guests! Underground basement parking with a 24 hour onsite manned security. The sprawling Paddocks shopping centre is within 200m with a variety of restaurants for you to choose from as well as Milnerton Beach being a mere 2 minute drive away. Close by, Century City is filled with even more wonderful restaurants, movie theatres and many retail stores that will allow you to shop until you drop. Royal Ascot is only 15 minutes’ drive from Cape Town CBD and CTICC. Chat to your Western Seaboard Specialist today! Sign-up and receive Property Email Alerts of Flats for sale in Royal Ascot, Milnerton.